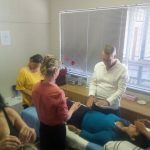 We offer training in holistic energy healing techniques, such as Reiki, EFT, and Aura Reading. 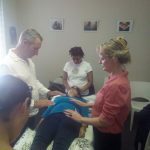 This is currently available in Cape Town and approved by the Industry Body for Energy Healing in Africa, the Energy Healers Organisation through the Energy Healers Association. You also have the option of FREE teleclasses on a variety of subjects. To get your invitation to our free online teleclasses, make sure you are subscribed to your newsletter, on the left of this page. Please see our sister site www.NewAgeLondon.com for training courses and classes in the UK. We welcome other trainers from all over the world. If you have a holistic modality that you do training in and want more coverage, please contact us for details.